President Kenyatta meet striking doctors – Kenyatta University TV (KUTV). All Rights Reserved. President Uhuru Kenyatta has today met the doctors ahead of putting to an end the ongoing strike. The strike has already entered the second month. 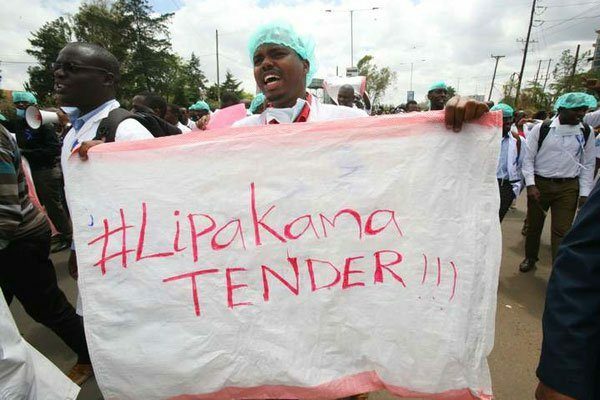 Nurses and doctors have been putting pressure on the government to oversee implementation of Collective Bargaining Agreement that they signed years back. Since the strike began, several lives have been lost. Public hospitals were all asserted and doctors proceeded to the streets. The government was forced to deploy military doctors to help salvage the situations in some hospitals.